Applicants do not need prior experience to enroll, but once admitted, all students will complete a pre-course tutorial. As the programs are part-time, UC San Diego Extension Boot Camps are designed for working professionals and students who are actively pursuing a career change or advancement or looking to gain a new skillset. Students will benefit from a wide range of career services to be positioned for success through graduation and beyond. Services include portfolio reviews, resume and social media profile support, high-impact career events, workshops, mock interviews, one-on-one career coaching, and recruiting advice. Upon program completion, students will receive an Award of Completion from UC San Diego Extension and will have a portfolio of projects demonstrating a working knowledge of web development or data science, or have the skills to gain cybersecurity certifications. UC San Diego Extension Boot Camps are powered by Trilogy Education services. At the Cybersecurity Boot Camp at UC San Diego Extension, students get hands-on training in networking, systems, web technologies, databases, and defensive and offensive cybersecurity. You will also learn methods, techniques, and best practices for accurately conveying the severity of the risks facing an organization’s security posture. The Cybersecurity Bootcamp is a challenging, part-time program that takes a multidisciplinary approach to attaining proficiency in IT, networking, and modern information security, throughout the course of 24 intensive weeks. 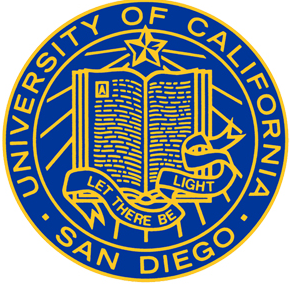 Course Report is excited to offer an exclusive UC San Diego Extension Boot Camps scholarship for $500 off tuition! Fill out the application below to submit this scholarship to UC San Diego Extension Boot Camps. By submitting, you acknowledge that your information will be shared with UC San Diego Extension Boot Camps. My name is Leeland and I am a graduate of the April 2018 cohort for the part time full stack flex program. This program prepared me technically and mentally for my career jump from a restaurant manager to a software engineer. I had no prior experience with coding and I was taught the necessary tools in order to apply to developer positions. The curriculum is top notch and involves a modern tech stack. They go through the MERN stack and there are multiple full stack applications that are built throughout the program. It is crazy to believe that I went from creating a static html page to buidling a React app. The best part about the program is how invested the instructional team are to your success. My instructor prepared us with knowledge and best practices that will be relevant in our job hunt. The TAs are also very knowlegeable and willing to help when you get stuck (Trust me, I got stuck a lot). I believe that those who continue grinding out and work hard will succeed in this program. I had no relevant experience, but I was able to land a job a little over halfway through the boot camp. The instructional team helped me by asking mock interview questions as well as white board questions. It is great that we learn modern technologies, but the difference with this program is that they teach you how to learn and solve problems with code. "Give a man a fish, and you feed him for a day. Teacha man to fish, and you feed him for a lifetime." could never be so true! I would highly recommend this program to anyone trying to make a career switch! Thank you for your review, Leeland! We're thrilled to hear you enjoyed the course curriculum and found our entire instructional team to be so knowledgeable. Congratulations on graduating, we wish you continued success in all your future endeavors. A well designed and challenging program. Be prepared to work really hard if you want to maximise your investment and you will not be disappointed. I have learned so much in these 24 weeks compared to trying to learn coding on my own. The level of support that I've gotten from my cohort and teaching staff is top notch. All 3 projects that I've developed during the course are ready to be shown to employers by the end of the program. You will get to learn from scratch to building industry ready full stack projects that will value-add to your portfolio. Coming from an IT background with around 10 years of data analytics experience, I've never worked as a developer professionally but always wanted to pursue a career in coding. I've landed myself a full-time position as a front-end web developer one month after graduation and this will not be possible without this excellent course. I'll take the course again in a heartbeat!!! Keep up the good job!! Congratulations on your new position as a front-end web developer, Novia! We're glad that you enjoyed your experience with our program. We love hearing that our curriculum, instructors, and TAs helped you to learn many valuable web development skills and that you were able to add value to your portfolio with the projects you completed in this course. We hope you're proud of all the hard work you put into this program. We're cheering you on as you move forward in your career. Hello! my name is Goose and I'm a recent graduate from UCSD extension's coding bootcamp last September 2017. My focus was to learn and challenge my self to become a full stack engineer. The bootcamp provided me with all the tools and knowledge that I needed to know to achieve my goal of becoming a full stack engineer. Coming from a CS background with some techincal profesional experiences in software development, I still learned tons of professional used technologies and challenged me to think differently. I tried almost everything to learn how to be a full stack, from online youtube videos, books, udemy classes but I felt that I was copying code instead of learning how to use the concepts. UCSD extension's coding bootcamp forced me to not only know the syntax and technology but also the proper use of it through homework challenges and projects. For me my favorite are the projects that we had to start from scratch. Rather than just copying sample codes, we had to start from ground zero to a working MVP web application. They also thought us how to research and think differently in terms of Computer Science in what algorithm to use and smarter solutions to a problem. UCSD coding bootcamp also offered career help. From one on one practice interviews, whiteboarding, up to job search and advice. When I had trouble finding a job and being intimidated with job descriptions, the career councilor helped me alot from resume revamp , accepting an offer, up to negotiating a pay. I am now starting a full stack career this November with an awesome starting pay. Thanks again UCSD extension coding bootcamp. I hope someday I can be a TA or instructor with my professional experience. Congratulations on beginning a new career as a full stack web developer! We're thrilled to hear that you learned so many valuable skills, and had an overall positive experience with this course. We love hearing that you were able to take advantage of our career services during the program, and we commend you for all of the hard work you put into completing this course. We hope you're proud of all that you have accomplished, we're wishing you continued success as you move forward in your career. I got a ton out of this course, I'll try to highlight some of the best and worst things. 1. Top tier instructors. These guys know their stuff and are always extremely helpful. They even began to take pride in us and our coding towards the end lol. 2. TA's have your back. I remember before the class started someone asked something like "how patient are you guys if I can't learn fast enough?" a TA replied "I can stare at a wall for 12 hours and not get bored". This is true. 3. The career support throughout the class is optional, but you'd have to be insane not to opt in. They will teach you skills that will help your career. Even if you aren't looking for a job, you need to take advantage of this knowledge and support. You don't need to wait until the end of the course to start testing your career skills. I was receiving job offers before the class was even over. If you feel ready, tell your career instructor and they will happily point you in the right direction. 4. The class content was amazing. They don't just teach you content, they train you to use your resources to be able to teach yourself. In my opionion this is what being a developer is all about. 5. Academic support. There is an entire group of people dedicated to helping you if you ever start to feel behind, all you have to do is ask. I never took advantage of this perk but I know a few people who got private tutoring sessions. 1. The cost. This isn't a cheap course. I was able to justify the cost by thinking of the salary potential. I got a promotion at my work as a result of this course. Because of this I didn't take advantage of the post-course job assistance. 2. The time. You can't get the benefits without effort. You need to dedicate not only time but also a ton of frustrated learning hours. Hang in there. If you have the time, money, and dedication, this course will teach you skills that you can use for the rest of your career. You get out what you put in so jump in with both feet and be ready to work hard. Congratulations on your promotion, Will! Thank you for providing this detailed review, you make several good points about our program, that are helpful to future students. We’re so glad that you had such a positive experience with this course. We select our instructors and TAs carefully, to ensure that our students receive the support and attention they require in order to be successful in this program, so it’s excellent to hear that our team is working hard to meet our students’ needs. We’re thrilled that you benefited from our career services, and enjoyed the curriculum. This course does cover a wide range of topics in a short time period, so we do provide student support in the form of tutoring, office hours, and more, because we strive to provide all of our students with every opportunity for success. As you mention, this program does require a commitment to learning the material, and may require many hours of studying and practice outside of class. We hope you’re proud of all of the hard work you put into completing this program. We wish you continued success moving forward. If you want to learn how to seriously code- this is it! As a nerd, I've always wanted to learn how to code seriously. There are many coding boot camps in San Diego, but I find this one to be the right price point and a bit cheaper than most (about 2k-3k). It's also part-time during the evening so it fits my busy schedule. I've already had a Bachelor's and Master's degree in education policy, so I wanted coding to add to my skill set and not just a second Bachelor's in Computer Science. I was also able to find employment due to this program. I can do things like tinker with a github account and know what the heck folks are saying on StackOverflow and other coding help forums. Thank you so much for sharing your review, and congratulations on your new employment! It’s wonderful that you had such a positive experience with this program and that the price point, schedule, and curriculum filled your needs. Our instructors and TAs work hard to support our students as they take on the challenges of this program, so it's wonderful that they provided you with the help you needed in order to be successful in the course. We loved reading more about your experience on Medium. We’re thrilled to that you have formed lasting connections with students from your cohort, and that you are continuing to work together after the program. We hope you're proud of all of the hard work you put into completing this course, we wish you nothing but the best moving forward. I thought the bootcamp was overall good. I feel that I learned a lot, and in fact I am going to be TAing for the next session. My only piece of feedback, and something I plan on bringing to my session, is that there should be a little more stratified challenges. I get that it is difficult to cater to each individual student's skill set, however, I think it would be beneficial to the students on both ends of the spectrum to have a little bit of bonus material, to challenge the students who are excelling and to reinforce concepts for students who are struggling. Congratulations on becoming a boot camp TA, Gregory! We’re glad that you learned a lot from this program, and we really appreciate your feedback. We realize that not all students learn the course material at the same pace, so we’re thrilled to have you join our staff with your first-hand experience of the student perspective. We can’t wait to see what you will bring to our program. 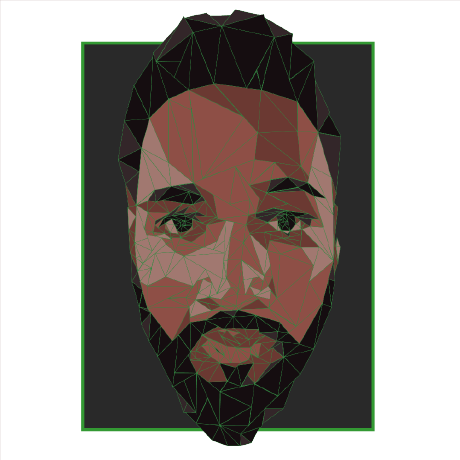 My name is Farhad, I recently graduated from UCSD Data Science and Visualization Bootcamp in December 2018.This program was a great experience. The curriculum is well designed that covers variety of tools and technology that is being used in this field, it is quite impressive to look at the list of topics that was covered in 6 months. My background is chemical engineering and I started this course with almost no coding experience, and after six month I am able to create website with data visualizations and analysis, also was able to switch my career right after graduating and started new job as a Business Analyst which it was my main goal. The Instructional team we had were very nice, experienced and very knowledgeable, they provided a great support, and made the whole program fun and pleasant which I believe that's where it makes a difference between this program and similar online programs, beside this, being in the class and working alongside other students and TAs gave me great opportunity for networking and learning more and more. I highly recommend this program for anyone who wants to enter to this field or boost their career and willing to works hard in and after class. Thank you for sharing your program experience, Farhad! We're happy to hear you benefited from our instructional team and enjoyed collaborating with other classmates. Congratulations on graduating and embarking on an exciting new career path! We wish you all the best in your future endeavors. This course provides an extremely efficient and practical way to make coding techniques very handy. Web development is a fresh domain that is evolving very fast. It is difficult to keep up with all the technologies out there. With this porgram, it gives you means to start up and it trains you to look for the right information and utilize available resources. Way to go, Rami! We're constantly tailoring our curriculum with the most in-demand market needs, so we're glad you enjoyed the course material. Congratulations on graduating, we truly appreciate your review! We're cheering you on as you go forward. 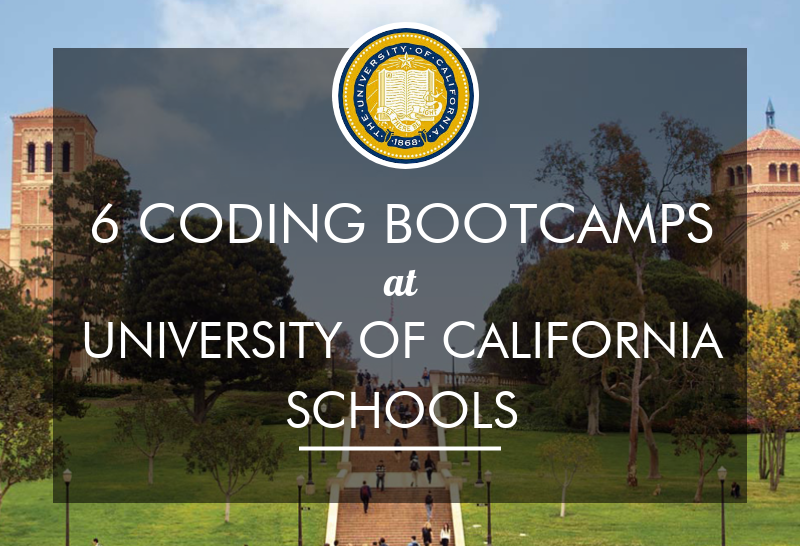 The Full-time Coding Boot Camp at the UCSD Extension is a great value for the education that I received. In just 3 months, I was exposed to and gained an incredible breadth of knowledge on subjects including HTML, CSS, CSS Frameworks, Javascrtip, Node, MySql, MongoDB, and React. If you are looking for a fast way to jump start a career in web development, you will be hard pressed to find a better value for your time and money. If you are looking to be challenged every day to break out of your comfort zone and tackle difficult concepts in a fast paced environment, this program is for you. I cannot overstate what an excellent experience it was to be a student in the Full-time Coding Boot Camp at UCSD Extension. Thank you for your review, John! It’s great to hear you were positively challenged during your time at the boot camp and learned a wide set of new skills. We hope you are enjoying a fulfilling career change as you move into the web development industry, and we look forward to seeing what you achieve as you continue putting your skills into use and tapping into new opportunities. Good luck! Great course overall - must be willing to work hard! Overall this course was exactly what I expected: an overview of full stack programming, introducing me to best development practices in real-world situations, pair-programming, and building applications. As I finish up the bootcamp I feel overwhelmed by how much I don’t know, and how much I want to go back and re-learn, but I have those tools to make it happen. I know a little about a lot of different programming concepts and languages. That’s okay; I knew I would feel something like this when I started. I feel empowered to keep doing development, and I am proud of my accomplishments in the course. -- Homework: Every week – due on Saturdays. By the time you get to the backend these H.W.s can easily take 4/5 hours on non-class days, plus 1-2 hours on class days resulting in about 15-20 hours per assignment JUST on H.W. alone. That does include a lot of trial and error, as well as poking around on the inerwebs for answers. -- Projects: These are fun, but can be highly stressful. They always let us pick our groups which I think is important. If you are an introvert, that’s okay, just be sure to make at least one friend you can buddy up with. Just be as normal as you can be…but that’s a life skill in general that you should have before joining any class. -- Instructors: One main instructor (who was so awesome two of my classmates are working at his company now! 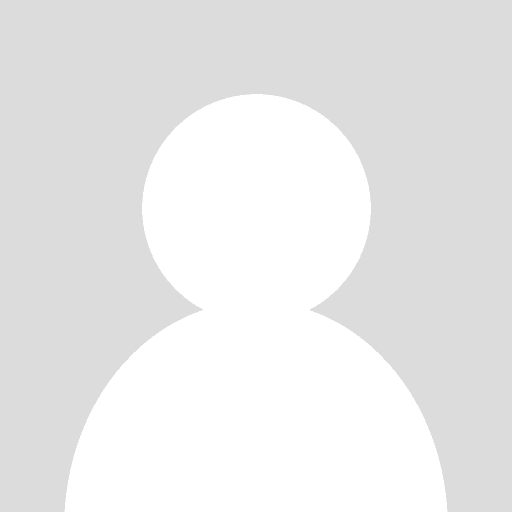 He let our class know about the open positions and helped with mock interviews…wow!) and two TA’s (junior to mid-level programmers who had 1-several years in the field, but still junior to our main instructor. Overall very helpful and fun to hang out with). --Cost: $8500 one lump sum, $9500 if paid monthly. Deposit required before you get your pre-work. -- Pass rate: I’d say about 60-75% of my class completed the course. We had a lot of people drop right around our 2nd project when we started to get knee-deep in backend material. If you want a job following this Bootcamp you better be prepared to work your toosh off and go full speed for the entire course. It is possible to get a new job, but you really do need to have coded prior to this course, even if it’s just HTML/CSS and a little bit of JS. If you do want to get a job, they have career services… but it’s my other big qualm with this program. They hold it over your head like a stupid carrot the entire program, which is okay because it’s a way to hold people accountable, but turns out it’s really not all it’s cracked up to be. I chose this bootcamp over others because of the career services. They had promises of one on one help with your resume, pitch, cover letter, even interview prep and it’s really just a bunch of people who are an online career team who you never get to meet in person and get feedback from via Google docs. I know of other students who arranged a phone call for help but it was only so helpful. I just want people to have their expectations managed, because I am disappointed for sure. Either way, you will need to keep practicing after the class. I fully expected this, but I think some people truly think they can be making 80K/year coding at a startup or Google the day after you graduate. In reality you need to focus on the bootcamp during the duration, and then hit the ground running afterwards building projects, going-over concepts you don’t understand and honing in on your strengths. You can’t be good at everything, but there will be topics you enjoy more than others. What I did love about this course is we covered so many different languages and tools I discovered a love of working with databases. Who knew? I honestly would have never known how intuitive DB’s are for me if I hadn’t taken this class. I think I would have shyed away from stuff because it looked “scary,” but you don’t get a choice in this class haha. That, my friend, is a very good thing however, especially if you want to be a web dev. You have to face “scary” stuff every day! Overall this is program money well spent, and the experience is worth it. I made good friends and great professional connections through this course. Doing an in-person course is so beneficial because just when you feel alone, helpless and/or overwhelmed, there is someone else who feels the same way, but there is also someone who can help. Having that support is priceless, and having these skills are too! Thank you for taking the time to leave us your review, coderSandDawg! We're glad to hear that you had an overall positive experience with our program, and applaud you for all of your hard work throughout the experience. Congratulations on completing the course, we wish you the very best of luck as you move forward in your career. This bootcamp exceeded all of my expectations. Be prepared for a lot of work, you'll be working at a very fast pace with a new project almost every week. This is not a spoon-fed program, they teach you the basics and teach you to constantly dig deeper and learn more (You will have to spend a lot of time out of class researching how to do many of your projects) which is essential to being a good developer. Career services is very active and involved, willing to reach out to companies you are talking to and to new prospects, letting hiring managers know where your skills and interests lie and getting the ball rolling towards a job. If you are willing to put in a lot of time and effort, you will learn a lot and be well prepared to enter the workforce. Congratulations on completing the program, David! We're glad that you had an overall positive experience with this course. As you mention, this boot camp does require students to dedicate significant time and effort to learning web development so we applaud you for all of your hard work. Thank you for taking the time to leave us your review. We wish you the very best of luck in all your future endeavors. The more I learn about web development the more I despise and regret attending this boot camp. I could have learned all of this on my own and in a much more effective way. As a developer, I can't let others make the wrong choice and end up like many of us UCSD graduates. First the numbers. There isn't any! How many students get jobs after the course? With my class about 3 of 25 got positions. You don't see numbers posted anywhere. A great boot camp is transparent with the numbers. The quality of the material, similar to the free online version of Codecademy. Teacher and TA's are great, the only positive note on the course. They really help you out. Job placement. Still looking for work, graduate in mid-2017. An alternative, stick to freecodecamp.com and become a self-taught developer. Don't let your education be in the hands of somebody other than yourself. Stick to a roadmap of either becoming a front-end developer or back-end and gradually work your way to full stack. We're sorry to hear that your experience with our program was not an overall positive one. Our course structure includes in-class lectures where our instructors teach market-driven front-end and back-end technologies, but a crucial aspect of our program is the lab work and hands-on learning that allows our students to apply their knowledge on real-world projects. We make it a point to emphasize throughout the program that while we will not secure direct employment for students, our career services will empower students with the necessary tools and support they need in order to become a competitive job seeker in today's market. We understand that your cohort did receive career support in the form of resume and portfolio reviews, social media profile assistance, technical interview coaching, and guest speaking events with companies like Creative Circle, Mindtouch, Amazon Fresh, and more. Were these services helpful? While we understand that not all students require career support services, many students from your cohort were able to secure new employment opportunities with companies like Hewlett-Packard, Zeeto, LeaseLabs, Victorise, Sphere, Piper Networks, ThoughtSTEM and Millennium Health after completing the boot camp. We'd love the opportunity to speak with you to see if we can provide you with any further career support at this time in order to best equip you for success. Please contact me directly at (858) 519-8997 to discuss your needs. - Instructors and TAs are all very nice. They can be easily contacted through Slack (IM used in the program) and they are happy to answer questions. Lectures are well prepared. - Some career support like they provide tips on resumes, do mock interviews, etc., are offered. In the program, a few guests from companies like Amazon, GoPro and a few other local start-ups are invited for tech talks or sharing recruitment information. Congratulations on completing the boot camp, Andy! Thank you for taking the time to write a detailed review, as insights like these are helpful to future students. It’s wonderful to hear that you enjoyed the curriculum and class schedule, and found your instructors and TAs to be helpful. We’re glad that you had such a positive experience with this program, and we hope you’re proud of all the hard work you put into learning these valuable new skills. We’re wishing you all the best in your future endeavors. Overall, I am 100% satisfied with the bootcamp. I’ll give some background about myself to kind of put my experience into perspective. I ended up landing a great job due to the bootcamp, but I believe my background in engineering played a large role as well. 1.A deep understanding of how all of the languages work together (front end vs back end). I didn’t understand the benefits or even the purpose of each language. I was missing a huge piece of the puzzle. 2.Real projects that I could put my name on and show off on my resume. No employer was going to take me seriously by just having some codeacademy and treehouse tutorials under my belt. I’ll take a page out of Will’s post and discuss pros/cons separately. Projects: The 3 group projects in the course were probably the best things to come out of the bootcamp for me. Literally every single interview I had I was asked to go into lots of detail about each of the projects. The fact that they were coded from the ground up, team projects, version controlled with git, and were deployed. This the full cycle of a real life software (except for testing). Instructors: Both George Morgan and Brandon Lyon were amazing instructors that I learned a lot from. George has been teaching for many, many years and it shows. He was comparable to (and better than) many professors in the Engineering school at UCSD. The way he would explain difficult concepts was incredibly insightful because of the way he could break it down into simpler high level explanations. I learned an insane amount of information from George about anything and everything coding. He was really accessible before and after class and was always willing to answer broader/off-topic questions about other languages or technologies. Brandon, although having a different teaching style, was a very good professor as well. He helped us learn on our own (valuable skill) by reading docs and doing your own research, which is like the real world. TAs: Can’t say enough good things about these guys except they probably weren’t paid enough. They were all super helpful and ready on slack all the time. In class exercises: The in class exercises were exceptional. They broke down difficult concepts/technologies into small chunks where we would complete smaller sections of an app piece by piece. These were probably the most valuable tool for me as they taught proper coding practices on top of learning the content itself. Career support: Although I landed this job on my own, I learned a TON from Stacey. Her workshops and the guests she brought in throughout the course were really valuable. After the course ended, the constant feed of job leads were also nice coming from the Trilogy recruiter. The curriculum changed throughout the course. Initially we were supposed to spend a couple weeks on other languages such as Java, Ruby, Python, and PHP. I was pretty excited to go through other languages to help me get a better understanding of all of the different languages. I wanted to get a bit of practice with them also, even if we weren’t going to get a lot. However, all of these lectures were scrapped (I think there were 6 total) because the class wanted to focus on ReactJS more. At the time I was incredibly disappointed in this because I wanted some experience with object oriented languages. But after the class ended I dedicated my time to learning object oriented languages and object oriented design, so looking back it’s not as big of a deal to me. I think the first 3 homeworks were pretty difficult and they forced us to do a lot of learning outside of class to complete them. However, I’m sure they got a lot of complaints because from there on the homeworks were pretty much copy/pastes from the in-class exercises. They didn’t require much time or effort to complete. I feel like the overall pace of the classes were pretty slow. I feel like I could have spent 30 mins to an hour looking at the in-class exercises and got the same information as the 3 hour lecture. Obviously when we were learning a new technology it was great to be in class to get a high level understanding of the technology, but many lectures provided minimal value. Overall, I got exactly what I wanted out of the bootcamp. I would take it again if I were to do it over. Congratulations on your new job! We’re overjoyed to hear that you had such a constructive and positive experience with our program. We love helping students develop their passion for web development, so it’s excellent to hear that this program provided you with the structure, guidance, and resources you needed to realize your goal of entering this exciting career field. It’s terrific that your instructor, TAs, and the career services team provided you with the support you needed for successful in this program. We’re constantly updating our curriculum based on student feedback, so we thank you for sharing your thoughts on the course topics. Thank you so much for this review. We understand this course can be challenging, and we hope you’re proud of all the hard work you put into completing the program. Know that we’re wishing you the best of luck in your future endeavors. Having recently graduated, I can say that the bootcamp assisted and played a role in fully transforming my outside interest in tech and innovation into a full-on career in the field. I had aspirations for a long time before taking the course, but it was ultimately the step that I NEEDED to take to advance myself. Thank you for your feedback, David. We’re thrilled that you have been able to use the skills you gained in this program to turn your interest into a career, congratulations on all of your success! Our team works hard everyday to help our students achieve their goals in the program, and beyond; so it’s wonderful to hear that you had such a great experience. We hope you’re proud of all of the hard work you put into completing this program. We wish you nothing but the best in your future endeavors. Very Low Quality Coding Bootcamp. This Bootcamp is put on by a company called Trilogy and not UC San Diego. The trilogy team is very inexperienced - just go through the beginning enrollment process and it should be very clear to you. Everyone involved is very careless and unhelpful. Much better options in San Diego, you'll get a lot more out of another program. Hi Anonymous, thank you for sharing your feedback. We regret that you were unhappy with your experience applying to the program. As you note, UC San Diego Extension chose to collaborate with Trilogy Education Services (TES) to develop The Coding Boot Camp. TES is the leading continuing education program manager in the U.S., and has partnered with over 24 top universities to support their efforts. This partnership allows us to tap into TES’ proven framework for helping students learn about the latest technologies in an environment that fosters lifelong learning. Everyone at The Coding Boot Camp at UC San Diego Extension is extremely passionate about our students and ensuring that they feel valued and supported—from the first admissions phone call and even past graduation. Our admissions team loves to help students as they work to make an educated decision about which boot camp to attend, and we strive to make this the best experience possible. We are sorry that your admissions experience did not meet these expectations. We would love the opportunity to speak with you again to not only discuss your experience in more detail, but make the situation right. You can reach us at (858) 519-8997. I had nearly no coding experience (a little coding in college 10 years ago) before attending the data visualization bootcamp, after 6 months I can now create a full-stack website with data visuzalization I couldn't imagine 6 months ago. The instructor and TAs are really nice and smart people. Happy to work and learn from them. The course helped me stick to my passion. I recommend everyone to this bootcamp! Amazing, Jiemei! We are thrilled you learned the fundamentals of data science through our program - especially with minimal prior experience. It's great to hear you felt supported by our entire instructional team and were happy to learn from them. Thank you so much for your review and congratulations on graduating! We are proud to hear we helped you stick to your passion and wish you all the best with your future endeavors. An email with these details has been sent to UC San Diego Extension Boot Camps. You've already applied to this scholarship with UC San Diego Extension Boot Camps.